How High Credit Card Limit Can Affect Your CIBIL Score? I can’t think of someone who can turn down the offer of some extra money. A higher credit limit simply means that you enjoy more purchasing power. I know this is a quite tempting idea but there is a catch. One of my friends, Sharad, asked me whether he should opt for a higher credit limit as he was going to apply for a home loan soon. His query really inspired me to write this piece and help all those who are facing a similar dilemma. If you are wondering whether you should go for a higher credit limit or not, then you are not the only one. Pretty much like any other situation in your life, in the fiscal world, there are two sides of a coin. I am going to first discuss arguments supporting a higher credit card limit. ● From the credit score point of view, with a higher limit on credit cards, your credit utilization can come down significantly. Indeed, this will prove beneficial for your score. The best way to make improvements in your credit score is to keep the utilization ratio as low as possible. ● You get to make larger purchases and you get to enjoy more spending power with a higher credit limit. ● For some people this is a status symbol as higher limits are commonly in tandem with higher incomes. Every lender keeps a check on your utilization ratios. Now this means that the limit of credit you use against the total limit available across all credit accounts. Usually, every bank considers two utilization ratios; one is total utilization ratio and the other one is your account’s utilization ratio. Either ways the lender go for a ratio under 30% to 40%. For instance, Sharad is using three credit cards having limits of 100,000 on two cards and on the third card the limit is 50,000. Across his three cards, he normally spends Rs. 10,000 on his first two cards and on the third card he spends 40,000. This brings out his cumulative expense at 60,000 out of the total limit available to him i.e. 2,50,000. As a result, his cumulative utilization ratio is 24%. If you are having higher credit utilization ratio, this really worries the lenders. This is because if you (as a borrower) don’t make changes in the way you spend, then in case of an emergency, the borrower will be stuck with a higher debt to repay while there is a scarcity of funds. Thus, lenders are more interested in lending to those people who are capable of maintaining high margins on available credit limits. ● With every application you submit for a higher credit limit, you are actually allowing your bank to assess your CIBIL score and make out your eligibility. If a bank is inquiring someone’s report, then it is considered as ‘hard inquiry’ and it negatively affects your credit score as well. ● If you are having a high limit, you will be tempted to spend lavishly using your credit cards. This will affect your credit utilization ratio as well. 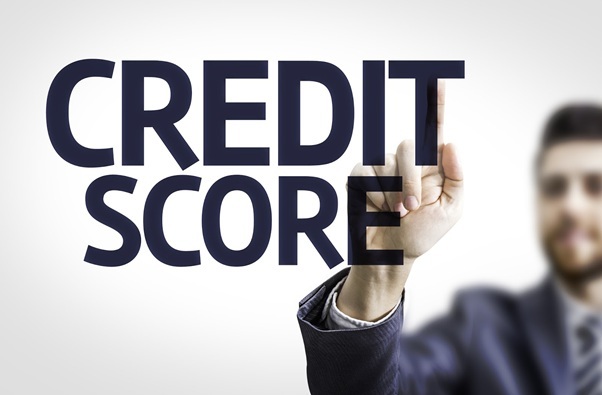 With a higher credit utilization ratio, there is a risk of score being damaged. ● In case your card is lost or stolen, you will have more risk of losing money as compared to a lower credit limit. Firstly, you should go for a higher credit card limit only when you actually need it and not just to flaunt. It is important you have a practical approach when it comes to finances. One wrong decision can really diverge you from the path to achieve financial freedom. Secondly, owing to the hard inquiry, your score may come down but with the time, it will settle against the higher available credit limit. Thirdly, you should be confident enough to make large purchases in one single month. For instance, with the help of higher limit, Sharad was able to buy a refrigerator for his new home. The cost of the refrigerator was Rs. 33,000 raising his utilization ratio. However, his score remained intact. With a higher credit utilization ratio, while keeping the expenses same, you can raise your available credit limit, leading to a lower utilization ratio. Sharad took my advice and requested for a higher credit limit on his credit cards. He waited for a minimum of 6 months for his score to reflect positive changes before applying for a home loan, which was approved by one of the popular banks. This is the power of higher credit limit. Make sure you use it smartly. Hi, my name is Ankita Dixit. I started writing from young age and most of my writing skills and knowledge are self taught. Currently, I am working as a professional writer at Paisa.co. I have write on various topics including travel, motivation, finance, technology, credit cards, insurance and entrepreneurship etc.